One of the best part about having this blog is the stream of free books that people send me. It’s like getting paid in cool sewing/kids books. How awesome is that? I bet YOU wish you could get paid in books, am I right =)? Here is one of the most recent books I have been sent- It is called Sewing School 2 and it teaches kids about using the sewing machine. 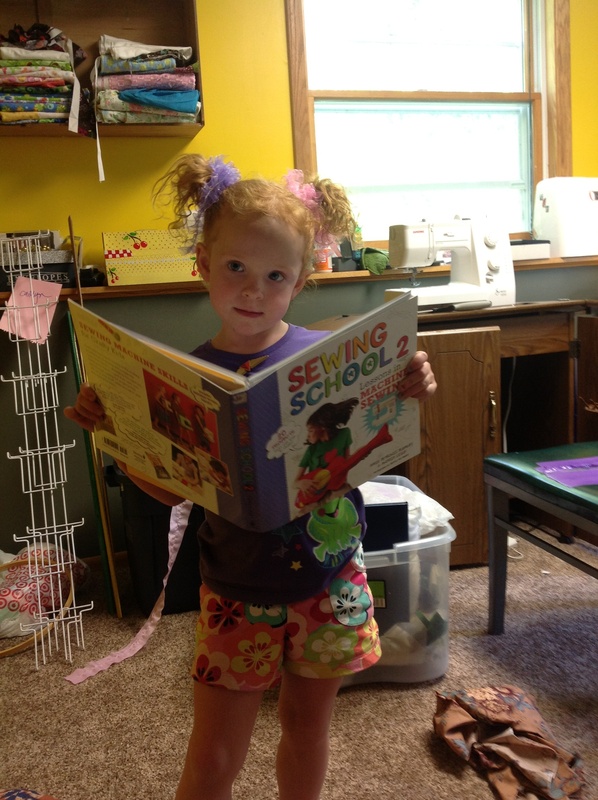 In the book are patterns and helpful tips so kids can be successful while making cute projects. For many days this month different blogs are featuring different projects. You will get to see the sewing craft Aleah made on July 16th- be very excited- cause she sure was! Check them all out because they are pretty cool blogs and I will also have a giveaway of this book on July 16, so comment away! Always love the books and projects you do!